Bright, over-saturated color has always been a mainstay in my wardrobe, particularly shades of green, aqua, fuchsia, and red (á la Matisse). However, I can be persuaded into donning earth tones when the appropriate mood and garment align. 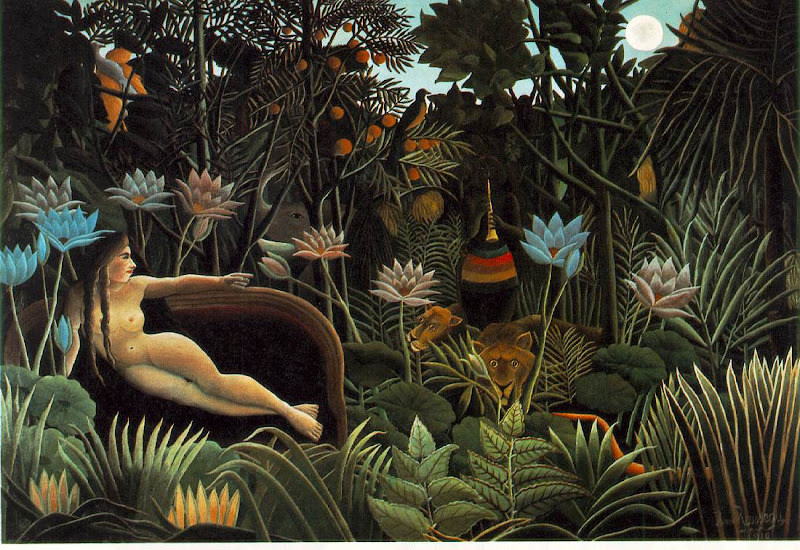 The starting point for this outfit was my recent perusal of the work of Henri Rousseau. A self-taught or "primitive" painter, his skill was recognized by Picasso when he encountered one of Rousseau's works on the street. Rousseau's greatest works are his jungle paintings. 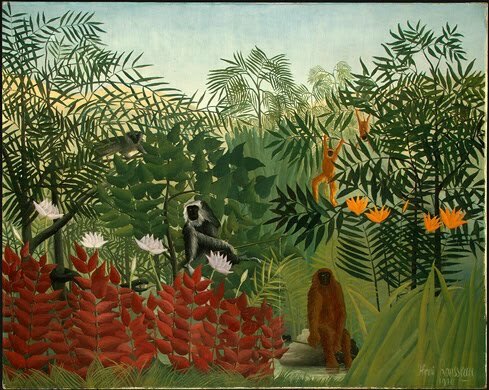 Living and working in Paris for his entire artistic career, Rousseau never set foot in the jungle, and had only seen the rare animals he portrayed as taxidermy. The resulting works have an endearing childlike quality to them--yet the compositions and coloring aligned him with the early Fauves (like Paul Gauguin and his Tahiti paintings, which inspired this ensemble). Since, like Rousseau, I didn't have a jungle on hand, I sited these photos in my backyard, where the overgrown shrubbery was meant to mimic the dense vegetation in the paintings. The jungle theme was further expressed by the leopard-print dress, and the tall leather boots were meant to protect my legs as I navigated through the undergrowth (or walked along the stepping stones). I'm wearing a vintage silk leopard-print dress, vintage suede and brass belt, and leather Tory Burch boots. You look gorgeous! LOvely pics and post!!! 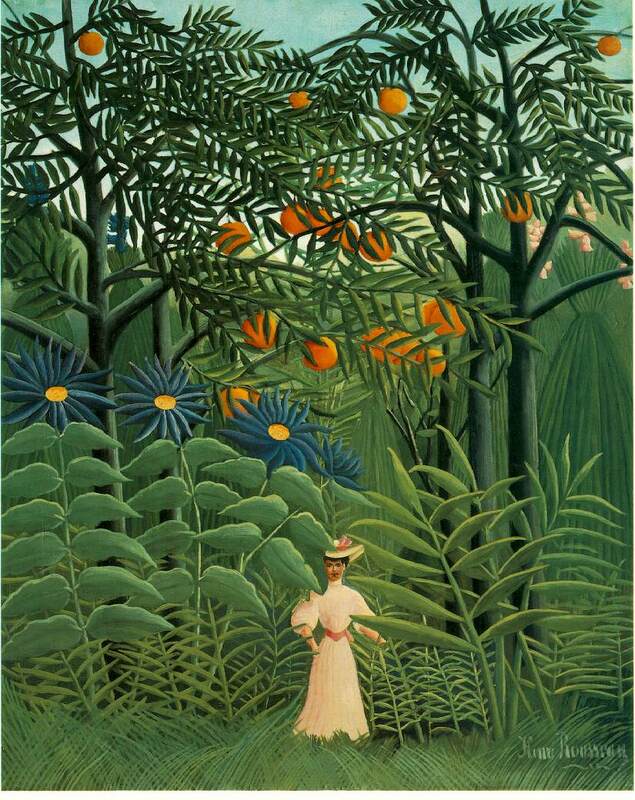 rosseau is one of my favorites painter, great !!! Your dress is so fabulous!! !